The stems in the player are actually mixed mono/mono (not just mono) with identical left/right mixes but crucially with completely independent left right outputs for both channels from your headphone output. It’s not a pan control, those two separate left right outputs allow you to put them into two channels of your mixing desk and are totally independent to give you a variety of options. You can pan each stem if you like to give a sense of imaging from the desk, but this only works well if you are seated in the centre of the stereo image. If mixing in stereo, for the congregation seated off centre or further to the extreme right or left of the auditorium they only get to hear certain elements of the sound, which is why most churches mix mono anyway. 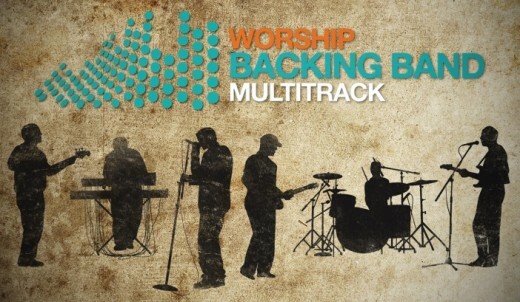 Worship Backing Band’s mono/mono set up is designed for giving you two independent mixes for front of house and foldback monitors. So yes, you could just feed the click to the fold back mix only (don’t forget too that there’s a separate two bar intro click, a shaker click and a spoken word vocal cue that can also be sent to foldback) but typically if you had a not very confident lead vocalist you could feed a lot of the vocal or BV stems to fold back and then a little to front of house to boost their confidence of even have a lot more vocals in the house mix to support an out of tune vocal. Conversely the electric guitar may want a little of the multi track in the foldback to remind them of the recorded part but with only their live part being audible out front. Obviously the headphone output only has two outs so, a 3rd to carry a click track isn’t really an option. If you want multiple outputs we do supply a pre configured Ableton session within the stem pack of each song, so if you want to use Ableton with our tracks you’ll find all the routing flexibility you’ll ever want and much more. Do remember the Worship Backing Band Player is designed as a very straightforward solution for churches with limited technically know how so sound card routing options are beyond the knowledge base of many of our users.